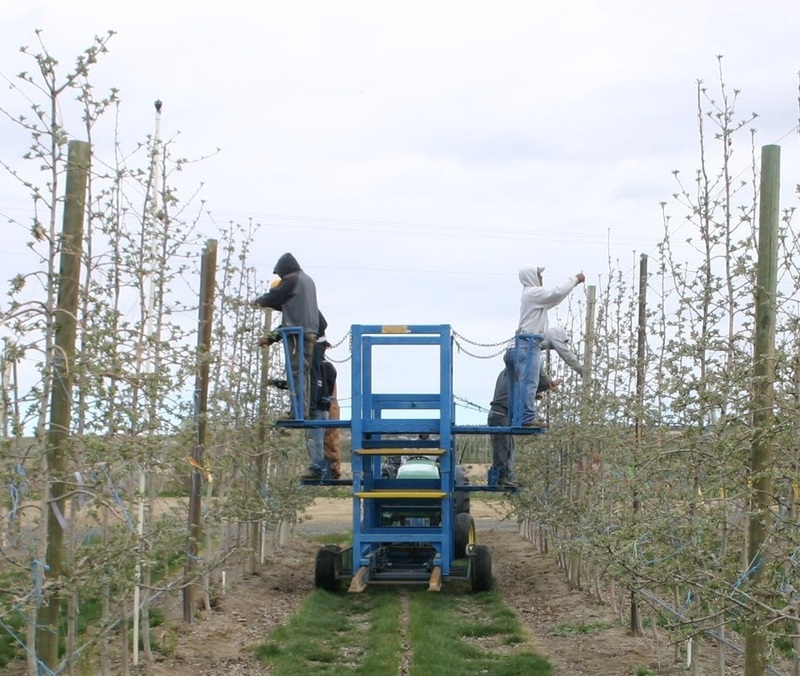 The New Royal Bluff Orchards operate in the Columbia Basin apple-growing region that lies between the Columbia River and the Snake River. This region features rich volcanic soil, plentiful irrigation water, and more than 300 days of sunshine per year, yielding some of the best tree fruit grown in the world. The original Royal Bluff Orchard, developed in 1982, has approximately 65 acres planted in Granny Smith apples. The Crave Organics orchard produces a mix of apple varieties, all grown organically. McDougall & Sons serves as the packinghouse for all the fruit grown at the New Royal Bluff Orchards.